Considered one the best located and positioned islands in the Whitsundays on Australia’s Great Barrier Reef, South Molle Island is on the market following a number of unsolicited approaches from investors and developers. The Island embodies the beauty of the globally recognised region and is skirted by several white sand beaches, pristine coral reef and extensive established national park. It is also in close proximity to several famous landmarks including Heart Reef, Hill Inlet & Whitehaven Beach. The island which entertains a rich tourism legacy of circa 80 years since its original conception as a resort destination has considerable development potential with initial town planning advice suggesting that over 1,300 rooms may be achievable on the island subject to council approval. JLL Hotels & Hospitality Group’s Peter Harper and Tate Stubbs have been exclusively marketing the property. The perpetual leasehold interest in South Molle Island features over 12 hectares of developable absolute beachfront land, including a frontage of over 600m to one of the only sheltered north facing white sand beaches in the region, and a secluded 15 hectare tranquil parcel in the middle of the island, surrounded by national park. Click to view video presentation on South Molle Island. 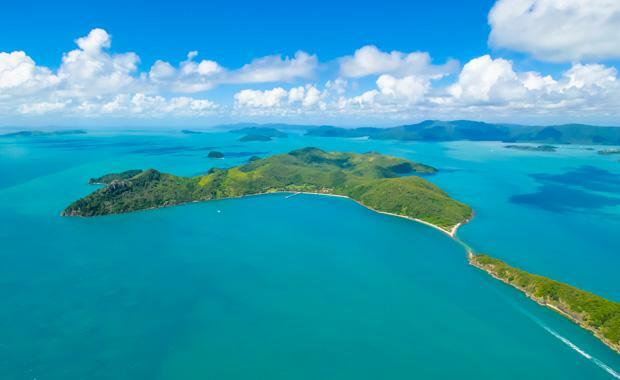 “The ability to acquire the perpetual leasehold interest in South Molle Island presents an incredible opportunity to secure one of the last large-scale island development opportunities in the Great Barrier Reef. It’s certainly the premium sale offering in this part of the world at present and we expect global investors and developers to act accordingly," said Peter Harper. It is understood that a range of both domestic and international groups have shown considerable interest in the island offering so far. Mr Harper noted, “Interest in Queensland’s key leisure markets remains strong with considerable positive macroeconomic factors highlighting the greater region on the world stage. The Urban Developer is proud to partner with JLL to deliver this article to you. In doing so, we can continue to publish our free daily news, information, insights and opinion to you, our valued readers.